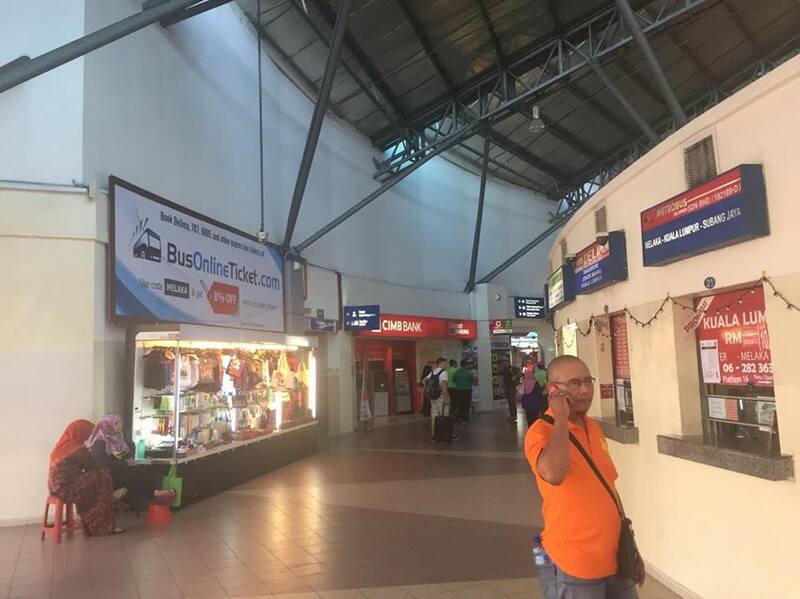 In the bus terminal, city bus is at the right hand side and long distance express bus is at the left hand side from the main entrance of Melaka Sentral Bus Terminal. 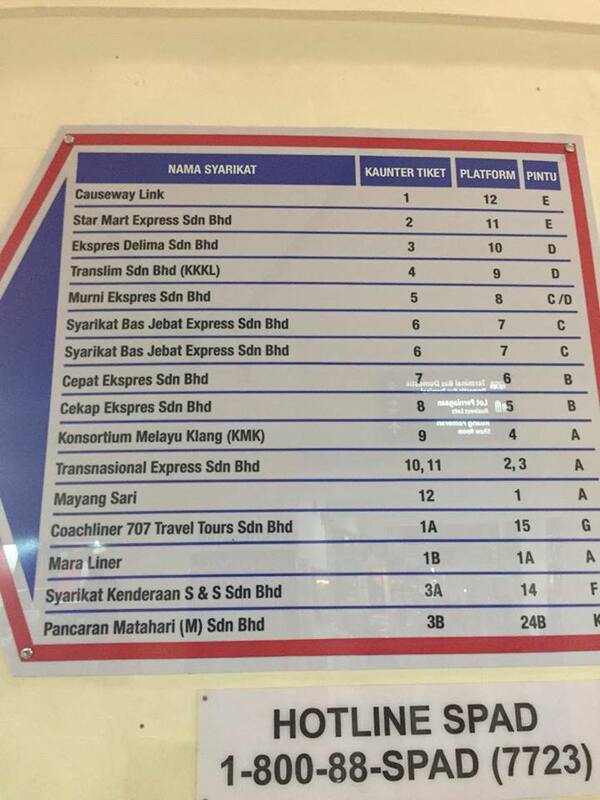 At the main entrance, you can also see the operators who serves the express bus services in the terminal. 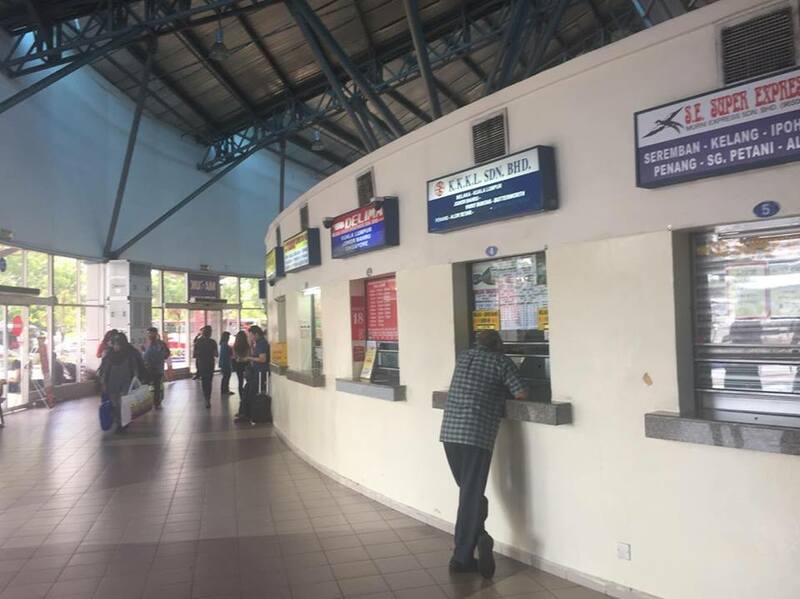 Once you enter the long distance express bus area, you could see the operator directory and ticketing counters from respective bus company. 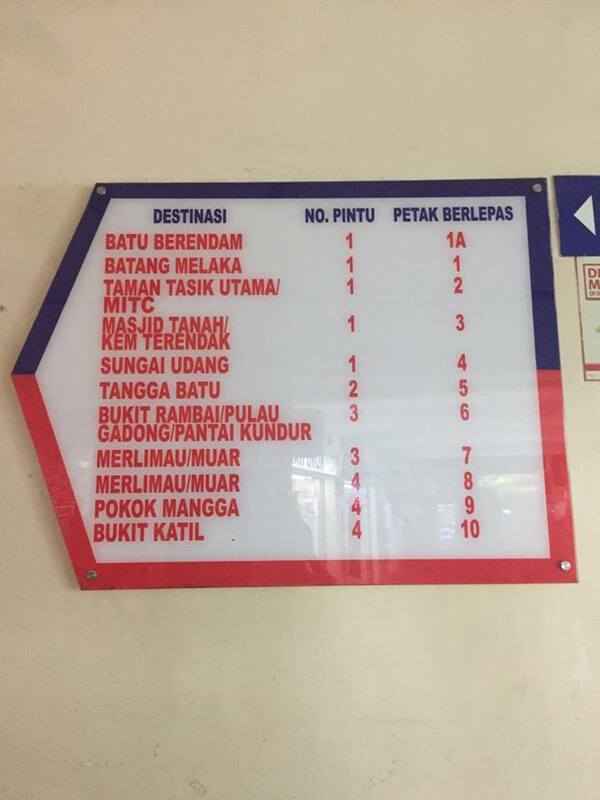 Few popular bus company like KKKL, Causeway Link, Transnasional, Mayang Sari could be found from the directory. 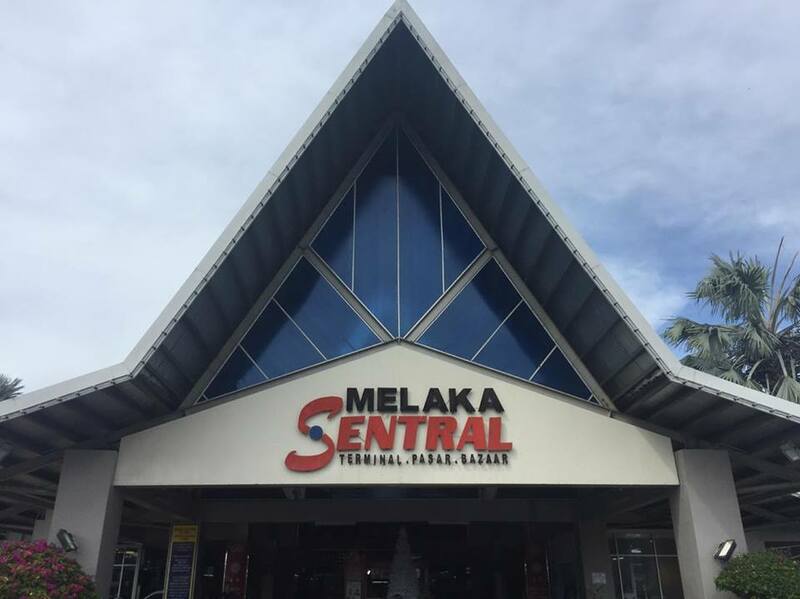 Malacca Sentral serves the express bus service leaving for and coming from Singapore and major cities (like Kuala Lumpur, Penang, Johor Bahru, Ipoh, Mersing etc) in Malaysia. 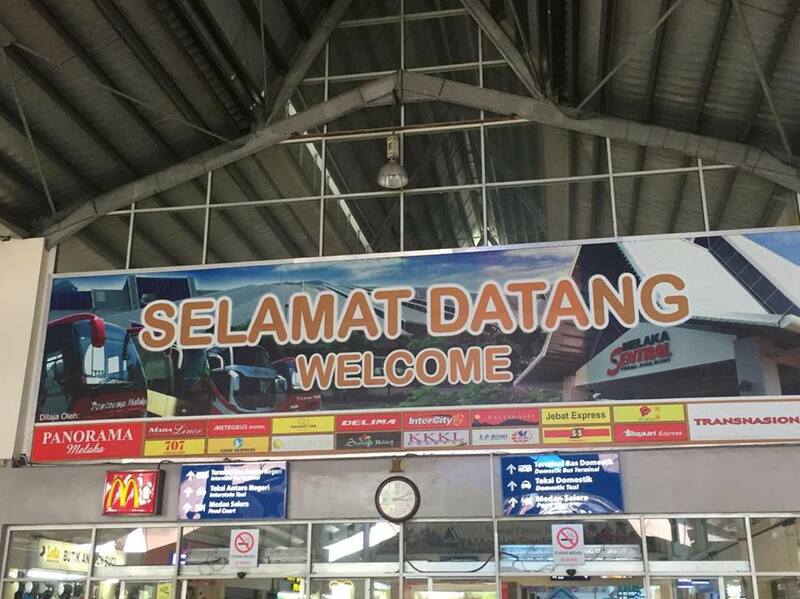 Two most popular and highly sought-after routes are bus from Melaka to Singapore, bus from Melaka to Johor Bahru and bus from Melaka to KL.